started making chocolate in May '06 as part of her health coaching practice, and incorporated in March '08 - deciding to bring Gnosis Chocolate to fruition for the world to enjoy. Her vision is to make Gnosis an internationally recognized name that carries a profound message of health, well being, and awareness of environmental and societal conditions - and to empower consumers to vote with their actions and dollars for a shift in the marketplace. 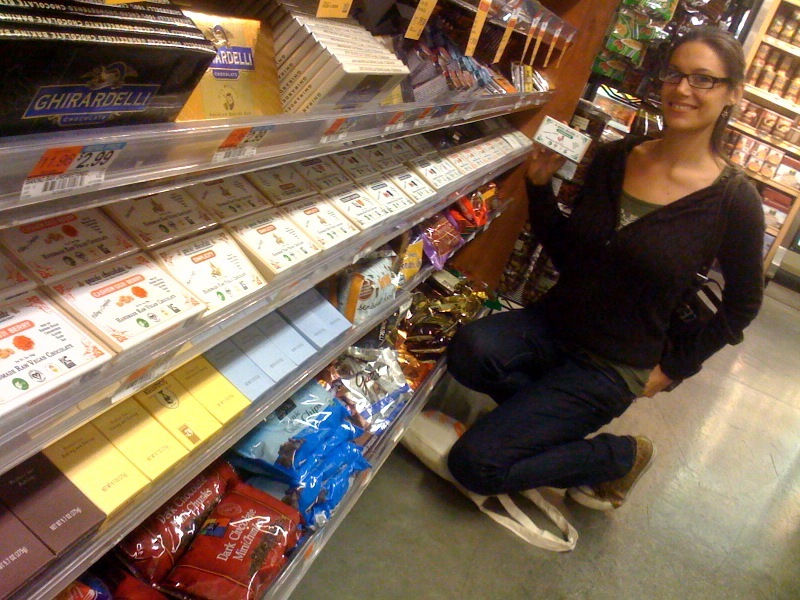 Back in 2007, Vanessa didn't know she would start a chocolate company. She was just beginning her practice as a certified holistic health counselor and had started making chocolate for her clients to replace their unhealthy sweets. Without marketing or assistants, stores in New York started requesting her bars. She designed a label (in MS Word), added PayPal to her health counseling website, and began making chocolate. As more orders started coming in, Vanessa realized this was growing quickly. Did this fit into her goal of helping individuals to better health? The answer poured in from customers thanking her for more than just the chocolate. Gnosis was helping them change their diet- to avoid unhealthy sweets and choose foods full of nutrients by reading the ingredients in the bars. It's working! Gnosis Chocolate is not just a chocolate bar - it's a means to better well being! At the end of 2007, Gnosis hired its first part-time Oompa Loompas to keep up with growing demand - all through word of mouth. Gnosis started stocking stores all over the country, made special truffles for the Holidays, and donated 25 pounds of chocolate to the Fruit Tree Planting Foundation's fundraiser! Vanessa has continued to donate 10% of profits every year. She feels the only way to run a company with integrity is to see business as a full circle which isn't complete until it includes giving back. Gnosis Chocolate still produced 100% by hand is carried in over 400 store worldwide. Gnosis Chocolate is grown 100% organically, with zero sales teams or reps.
Vanessa continues to do the graphic design, website, customer service, kitchen management, ingredient sourcing, customer relations, events planning, recipe making. We are looking to make the production and distribution of Gnosis Chocolate a community project. Vanessa is looking for individuals who have a passion for health, nutrition, and chocolate who would like to participate in any way. Whether to suggest a store, submit graphics or testimonials, or help us grow the company in a loving way that incorporates your creativity and passions, we would love to work with you! If you're an angel investor, or have experience in Food Manufacturing and Distribution and are looking to work with a company with a huge vision, send Vanessa an email! May you enjoy every piece - and experience Gnosis at first bite!